Promoting your brand alongside a well-known retail brand allows you to deeply resonate with your consumers. 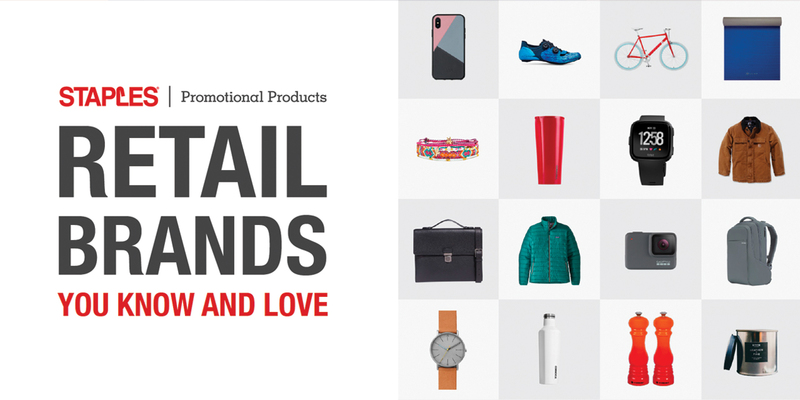 Check out Staples’ new digital marketing tool: Retail Brands You Know and Love, a piece designed to highlight some of the premium retail brands that you could be associating with your brand. Our experts utilize both lifestyle and generational demographics, ensuring that you’re able to meet the need of your intended audience. This is just a sample of the hundreds of popular retail brands Staples Promotional Products can offer. Let us help you find the right solution for your marketing and creative needs.